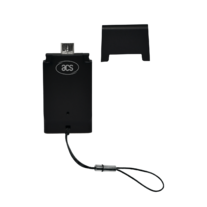 ACR39T-A3 is a SIM-sized smart card reader that is small, but packs a lot of features. With its MicroUSB OTG interface, ACR39T-A3 is capable of supporting most of the mobile devices in the market today that run applications using SIM-sized contact smart cards. ACR39T-A3 supports ISO 7816 smart cards, GSM 11.11-compliant cards, various memory cards, and microprocessor cards with T=0 and T=1 protocol. 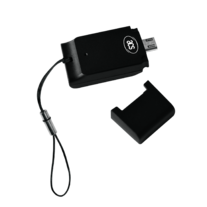 This compact smart card reader can also readily support micro-SIM?sized cards. 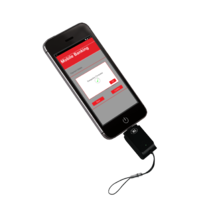 It can be easily integrated with any mobile device running on the Android platform with versions 3.1 and above, and may be used in Windows, Linux, or Mac OS, with its PC/SC and CCID compliance.